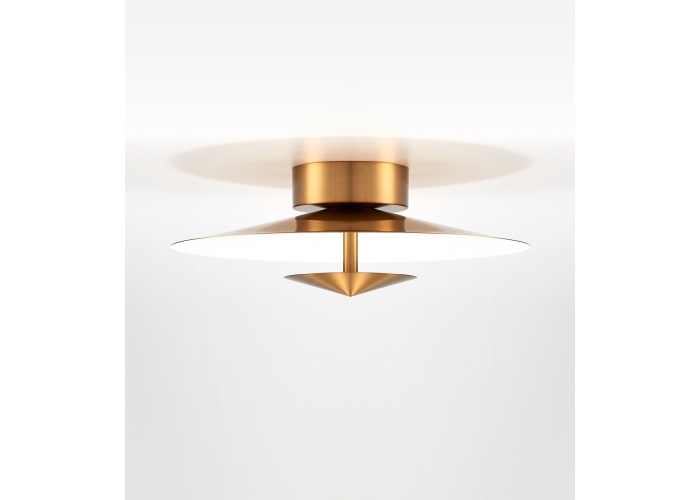 Plated Gold Metal, Painted White Interior, Black Textile Wire. 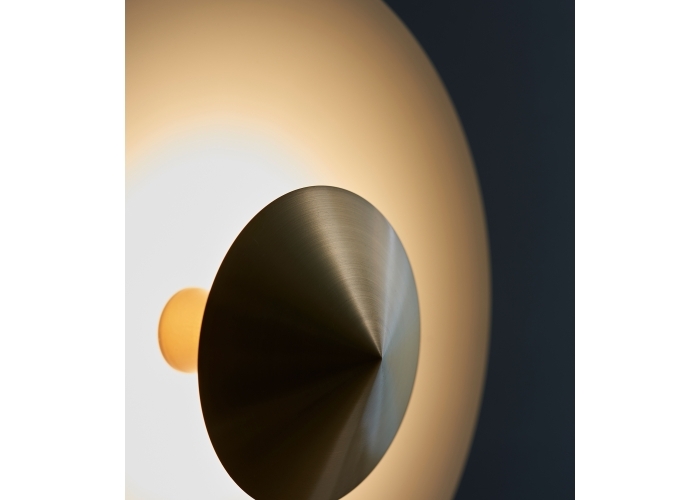 Oriental philosophy applied in an industrial object, a collection of pure geometric lines that play with hidden light and reflection. 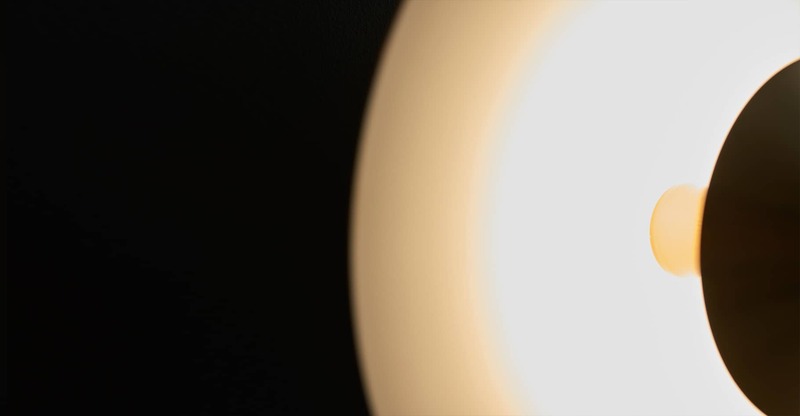 LAOS is born of another culture, its form is inspired by the clothes of the oriental peasants, more specifically in the hats used to protect themselves from the sun. 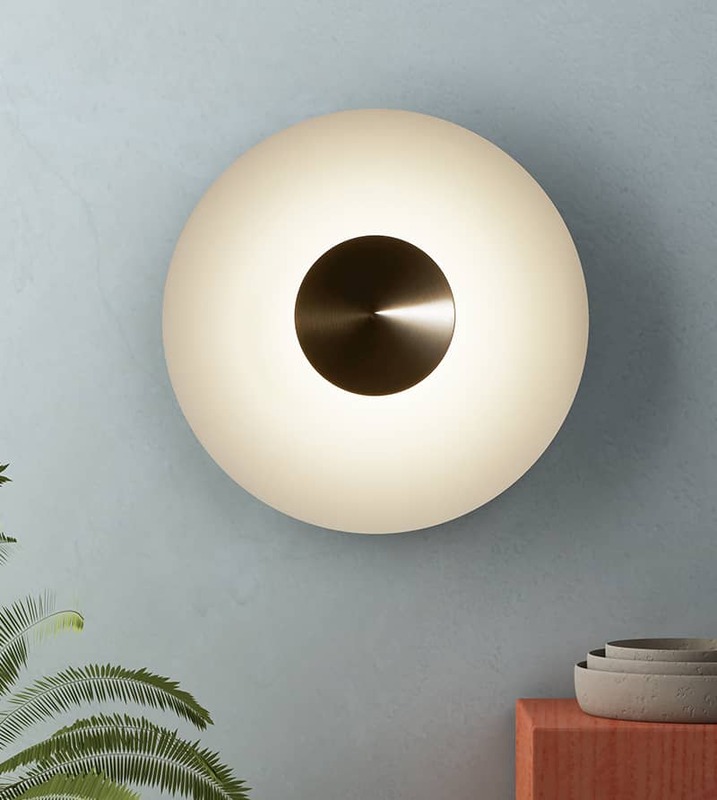 The collection is made up of different applications, table lamp, floor, pendant lamp, wall lamp and ceiling lamp, all of these options make LAOS a versatile collection. 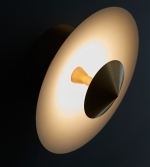 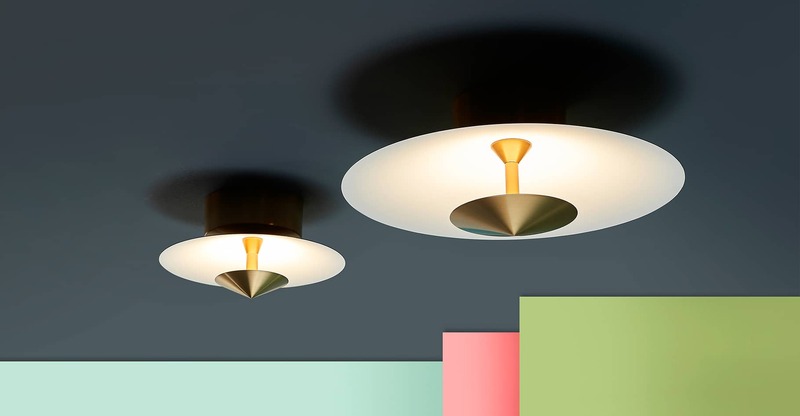 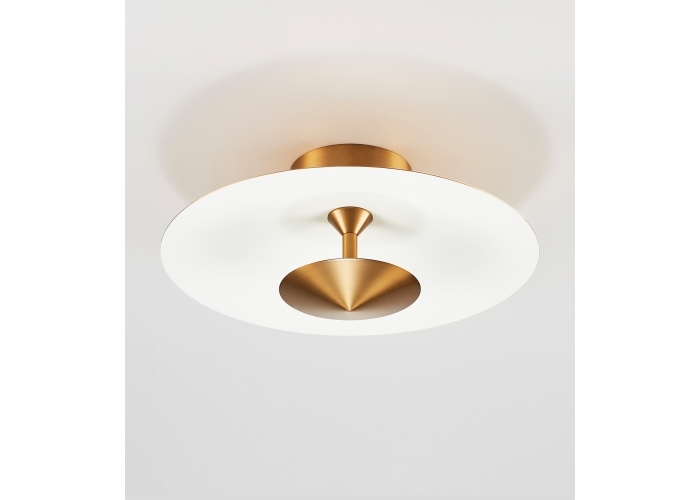 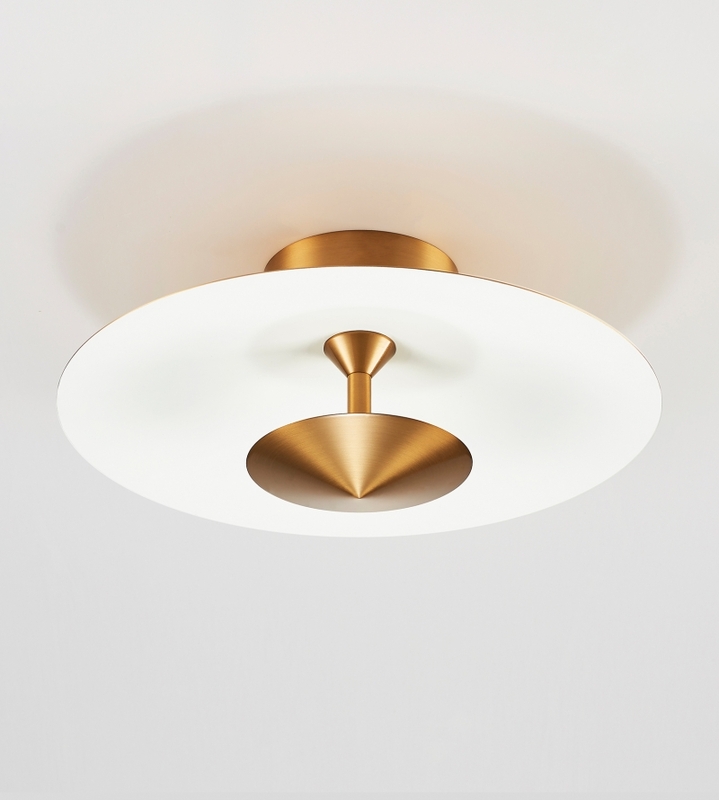 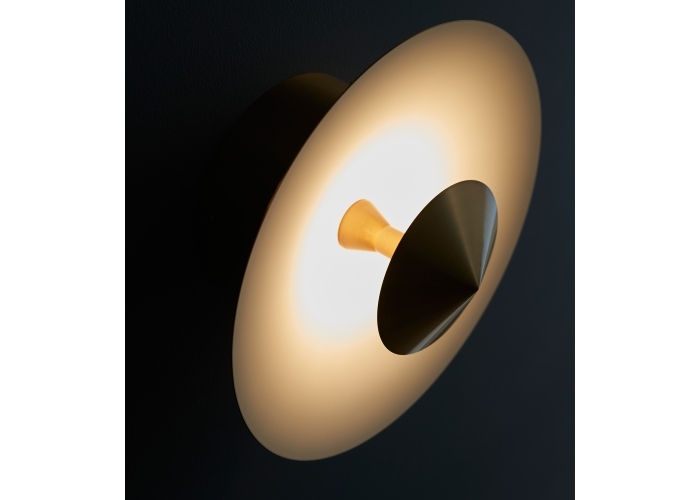 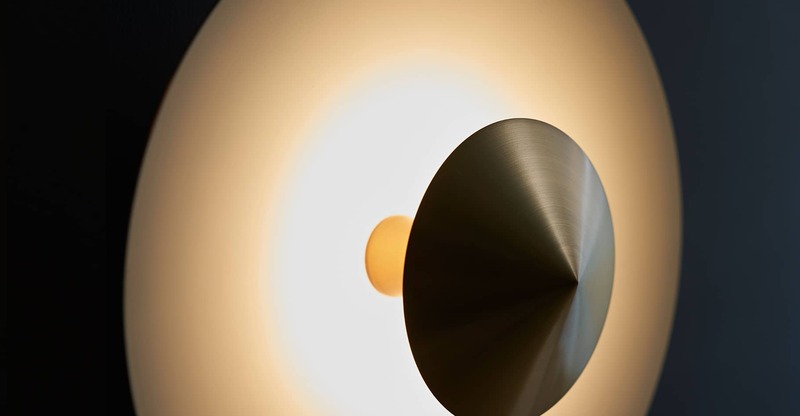 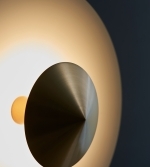 It is also made of metal with a brass finish and incorporates LED technology as a light source. 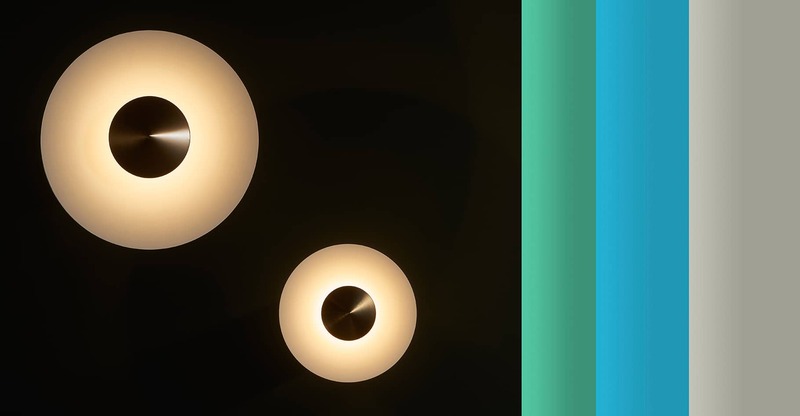 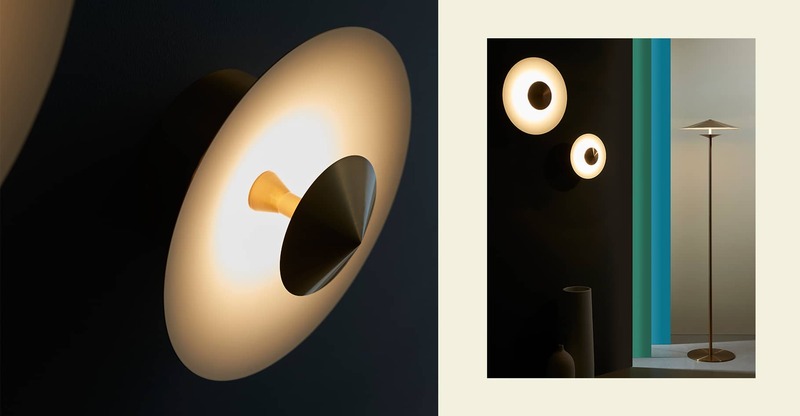 LAOS is a game of effects light, its light is reflected in the interior surface of the object and this light turn flows outwards to illuminate with surprising efficiency, a magical object with personality, the perfect choice for the world Contract and domestic spaces.